Husnain Cotex Pvt Ltd has opened booking of new plots and homes in Royal Residencia. The project enjoys a brilliant reputation among real estate investors, as the developer has met their expectations both in terms of quality and on-time delivery. In fact, the project is preferred by genuine buyers and investors who always remain on the lookout for a transparent and hassle-free property purchasing experience. In addition to being a fairly popular development, Royal Residencia also offers a wonderful setting for residents with its gated, walled, secure and fully maintained environment. The society is approved by the Lahore Development Authority and has connections for electricity, water and gas supply. It also enjoys a rather calm and nice location on New Defence Road, Lahore. 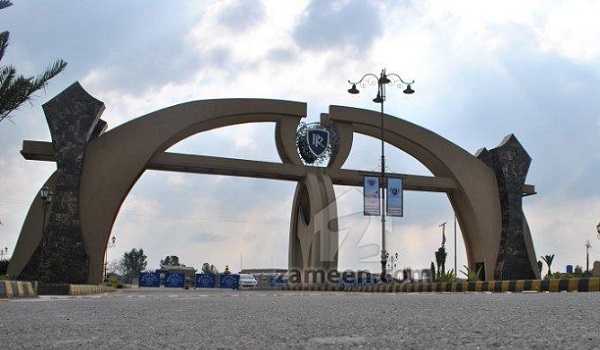 The society is fairly accessible from Ferozepur Road and Raiwind Road and is surrounded by important housing projects including Valencia Housing Society, Green City, Wapda Town, Khayaban-e-Amin and DHA Phase XI. Furthermore, the construction of Lahore Ring Road’s southern loop will make it even more accessible from all parts of the city. So those who find the vicinity of Royal Residencia a little aloof at the moment will soon stop complaining about it. The rates of houses and plots may appear high to some readers but if you visit the locality and check out its ambience, range of facilities available here as well as the quality of constructed units, you will have a hard time saying no to this deal. So I suggest you plan a visit to Royal Residencia and make a decision accordingly.